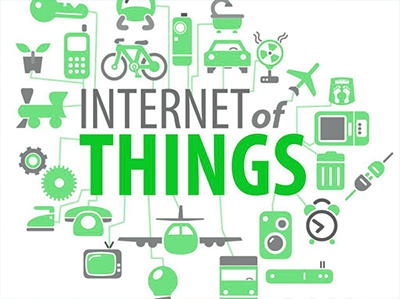 The Internet of Things (IoT) blends physical and virtual worlds in creating intelligent environments. With the progressive expansion of the business linked to this type of environment, however, the technological challenges and the implications linked to the security and interoperability of increasingly capillary IoT architectures are multiplying. This is why many people think that distributed trust technology is the only one able to ensure scalability, respect for privacy and reliability for growing IoT environments. The Blockchain are candidates for the key application role for the Industrial IoT. The technology in question can be used to track billions of connected devices, allow the processing of the transactions they produce and the coordination between physical devices. This decentralized approach would eliminate the failure points of traditional networks, facilitating the creation of a more resilient ecosystem on which smart devices can operate. In addition, the cryptographic algorithms used by the Blockchain IoT Security would increase the protection of private consumer data. The Internet of Things (IoT) represents the first step towards the full digitalization of our society, especially if combined with Blockchains to create a network where all the billions of objects we all use are interconnected through communication networks to other objects and systems IT, as well as the surrounding environment. IoT is a process of solution which is found in blockchain technology. First of all, we identify the problem and after that, we fix it step by step. We develop an app or another asset to test out the solutions where we test the problem and fix. We test the app and another asset successfully without any errors. Still user faces any issues to use then we provide technical support also. Once adapted to the applications of the Internet of Things, the Blockchain will use the mechanism used in the financial transactions that underlie the management of Bitcoins to create immutable records associated with smart devices and data exchanges that take place between these smart objects. This will allow smart devices to communicate directly, in total autonomy, and verify the validity of transactions without the need for a centralized guarantor authority. The devices will be registered in the Blockchain once they have entered an IoT network in the Industry 4.0 field, after which they will be able to independently process the transactions. Contact the best Blockchain IoT Software Solution services in town to assimilate the best of technologies into your business process.